Over the course of her career, Beyoncé Knowles-Carter has collaborated with some of the most famous photographers of our time. However, when Vogue was on the hunt for someone to shoot the singer for its coveted September issue, the singer pushed for a 23-year-old up-and-comer, Tyler Mitchell, to get the job. Calling him “brilliant,” the 36-year-old explained to the magazine that she wanted to ensure a new perspective was being shown to Vogue readers, as no other Vogue cover in history had been shot by an African-American photographer. Mitchell, a Brooklyn-based artist, has been floored by the attention his work has received, tweeting that he’s cried three times already since the cover image was published. 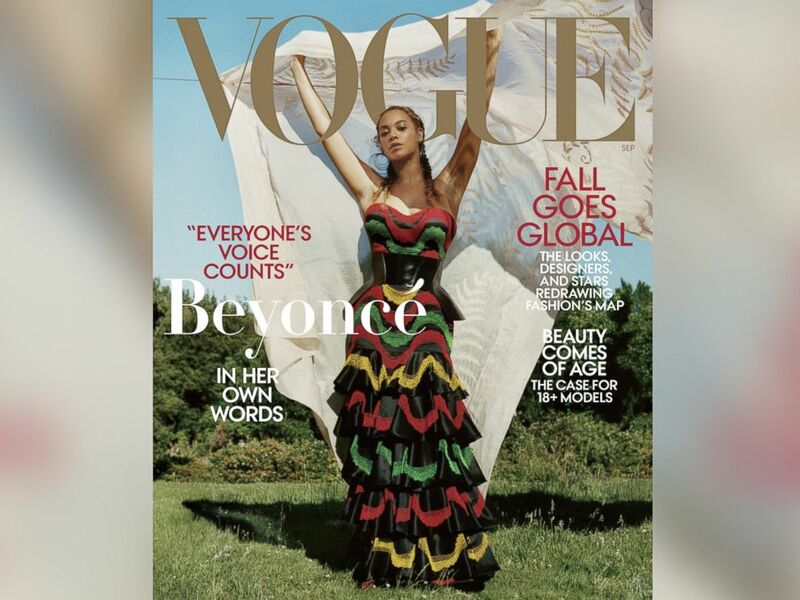 Beyonce appears on the September 2018 cover of Vogue magazine. He also noted how special it was to shoot the singer, who headlined the first concert he ever attended. “You’d imagine someone as famous as Beyoncé to be protective of her image, but she was really an open book — and that’s exactly what you want as a photographer,” he added. Here are five other things to know about him. 1. He has a clear style and vision: In a December 2017 interview with The New York Times, Mitchell explained what he looks to do when he’s at work. 2. The Vogue shoot is not his first high-profile gig: Mitchell, an Atlanta native who studied film and television at New York University’s Tisch School of the Arts, may have made history by shooting the September issue of Vogue, but he has plenty of experience working with other publications. Mitchell’s work has been featured in Teen Vogue, i-D Magazine, Dazed, and The FADER, according to his website. “I think magazines are a great way to be like, ‘This is important enough to be published on the printed page,’” he told the Times. 3. He’s a go-getter: After Mitchell spent six weeks in Cuba for a documentary photography program, he self-published a book, “El Paquete,” containing his photos of Havana’s architecture and skateboarding culture. Skateboarding he told Vogue was what got him interested in photography to begin with. 4. He’s a filmmaker, too: In addition to capturing still images, Mitchell works as a filmmaker. The Times noted that Mitchell created and starred in a short for American Eagle that dropped early last year. He also sees the value of social media, preferring to curate his portfolio on Instagram — where he has more than 109,000 followers — rather than signing with a creative agent.